I laid down a 20 year landscaping fabric and then covered it in rocks. It was beautiful and maintenance free, until the first ranl hit. Then all the dust and particulate matter started collecting in between the rocks and weeds started to grow. They were growing as fast as I could pull them. They are growing between the rocks and not through the landscape fabric. After the Northern California Fires 2 years ago and then our record rain this year they have gotten incredibly worse. Is there a non-poisonous way to kill and clean up all the weeds or do I have to continue to keep pulling and pulling? We don't like to use any poisonous substances. i had thought of using salt to kill anything and everything. Would that work? 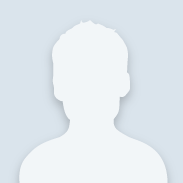 Hello Shivany and welcome to the Community. Vinegar is an effective weed killer. Vinegar’s has no residual action, so new weeds soon arrive. For a more permanent solution, add a cup of common table salt to vinegar to destroy weeds for good. 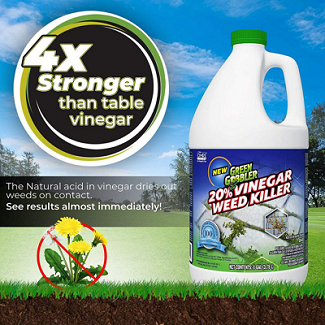 Vinegar and salt weed killer is a non-selective herbicide, so avoid spraying on healthy grass or plants. Any plants soaked with this solution will die within several days. Pour 1 gallon of white vinegar into a bucket. Add 1 cup of table salt. Stir the solution until all the salt dissolves completely. Stir in 1 tablespoon of liquid dishwashing soap. This will act as a surfactant and make the vinegar and salt solution adhere to the weeds more efficiently. Pour the solution into a spray bottle and soak the weeds with the solution on a dry, sunny day, avoid spraying before or during rainfall. Coat all surfaces well with the spray. 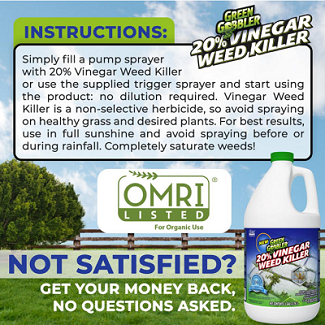 Here is a LINK to Green Gobbler 20% vinegar weed killer. This LINK takes you to sprayer options, one of which is the Scotts two gallon hand pump sprayer, illustrated below. Wear eye protection and rubber gloves because this solution may irritate your skin. When it comes to weed removal, I am very old school about it. The weeds you have are a result of the weed seeds that have been blown into your yard by the wind or carried into your yard by natures many other furry and feathered mobile instruments. 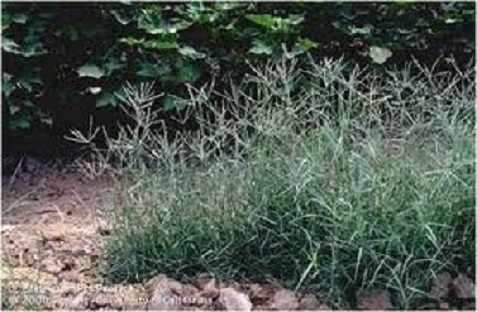 Weed killing chemical’s do not inhibit the weed seeds from coming back. Creating a condition where nothing will grow will contaminate the surrounding area in another rain event during the run off. This unfortunately, leaves us with the “Old School” solution and that is to get out there and start pulling weeds. I am very happy to her that you used a weed mat. This will keep the weeds shallow and make it easier to pull out. I have found that it is easier to pull out the weeds while they are still green. If you were to use a weed killer, you will have brown and brittle stems to be dealing with as well as a plethora of weed seeds that will left behind and will come back at the first bit of moisture that may fall. By taking the time to pull the weeds out you will be able to reduce the weeds seeds left behind. 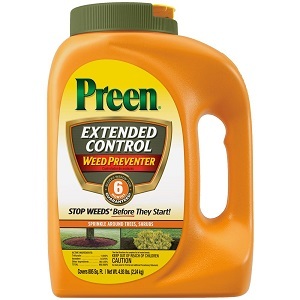 Once the area has been cleared of weeds, use a pre-emergence like Preen. A pre-emergence like Preen will prevent the weed seeds from germinating for up to 6 months depending on which product you choose. By repeating this application, you could be weed free for months at a time or even for a full season with your weed maintenance greatly reduced.